Toyota's next-generation Prius, due to be unveiled in the third quarter, may get a lot closer in looks to the 2016 Chevrolet Volt. 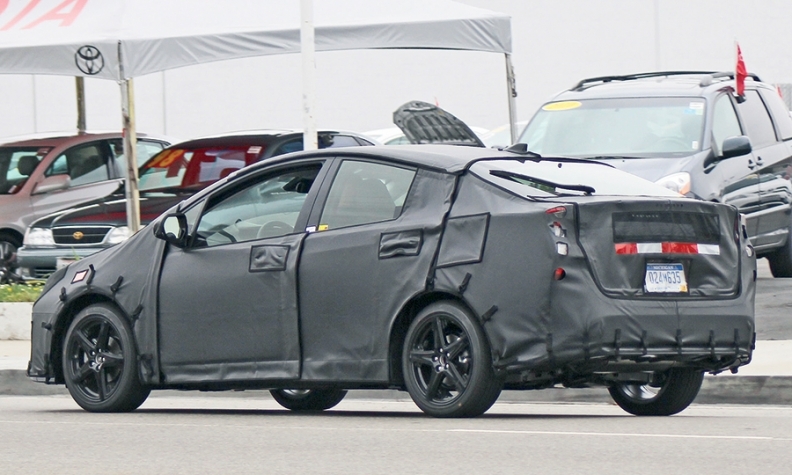 Photos of a heavily disguised five-door hatchback during testing in California show the rear end sloping down farther than that of the current Prius. The result: a fastback look resembling that of the new Volt that arrives this fall. The new Prius also appears to have air vents in the lower sections of the front fascia, continuing a styling theme that debuted on the Mirai fuel cell car.